Man, this is great stuff. Thanks so much for sharing. It would be fun to see the band and soak up the atmosphere. Keep them coming if you got 'em! 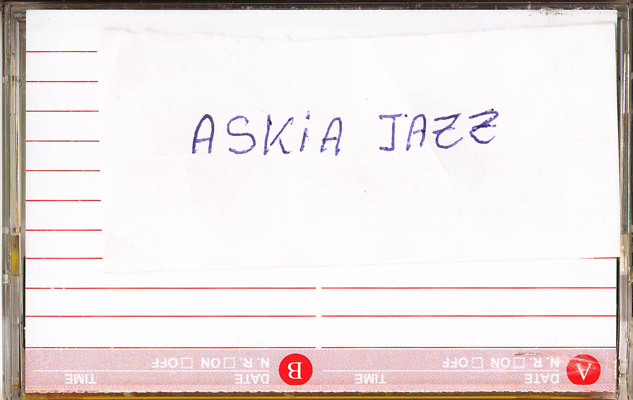 The wonderful introduction is not enough to provide musical quality to the very interesting and historical recording of Askia Jazz. I really attracts more the Tempo video, where we hear the actual formation of the orchestra Taras, with Bazoumana Sissoko grandson ( Mohamed Abdoulaye S.Sissoko)playing bass. @Ngoni: Thanks for this very useful contribution! 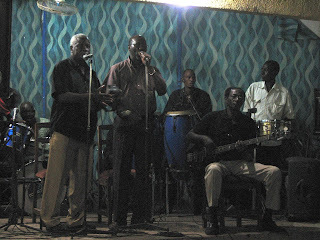 I had a faint suspicion that the orchestra at Le Tempo was "Les Taras", which Mohamed Cheick Tabouré mentions in the article (see the link). But the video to which you link in your comment proves it. This actually closes the circle, as this band is a direct 'descendant' to Askia Jazz! 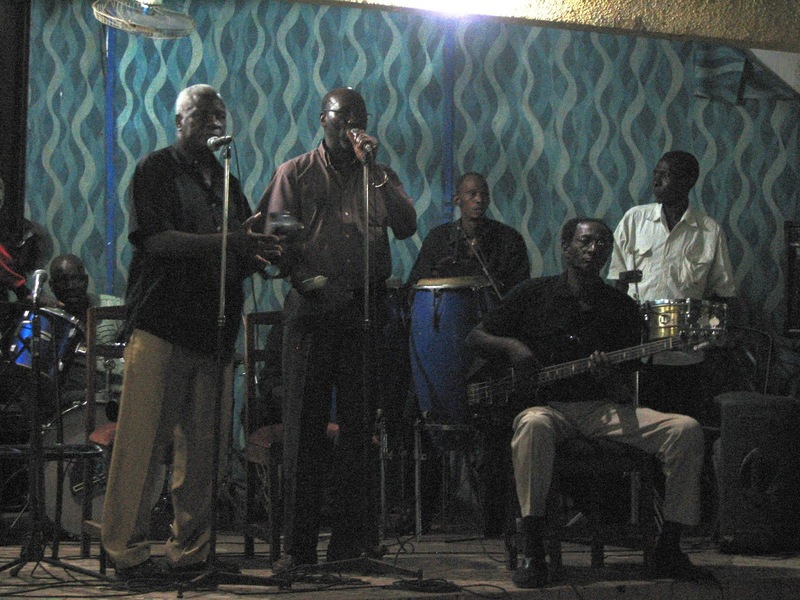 Askia Jazz, Le Tarasynco (as it was originally called), and The National Badema after Kassemady have a common thread, former colleagues, who meet again along the "time". I have a video of Taras disappeared with my late youtube channel, I reuploaded to Daylimotion to share in this occasion. I will also reupload the National Badema videos, two of them in honor Alou Fane. You can find the Taras bassist in 19:45 minutes of "Les pionniers du la musique moderne du Mali"
Returning to the "Time flies" This closes the circle, as it connects with the first post of this blog. By the way, Harouna Barry left us in 2008, not in 2009. @Ngoni: You are right: Harouna Barry died in January 25, 2008, - less than two weeks after Daouda Sangaré. Next to all this knowledge, I can simply agree that the music has a genuinely languid charm, like smoke curling upwards in a bar under slow moving fans. Great stuff, and thank you for sharing it. Beautiful! Thank you. All the best to this superb group. Takes me a while to get to this community and this page, these days, amidst an enormous transition in life, but oh so happy I am here to witness this great music, and learn a bit more about the music I love. THANKS! @Rhytm Connection: I hope we'll see you back in the 'blogosphere' soon! Great video! The music is sublime and the dancers take me there. Many thanks. This music is absolutely evocative. Thanks for the leads. Dexter Johnson especially. Cheers.